Over 550 years ago Sir John Cornwall, the King’s uncle, created Ampthill Park and built a castle there. A later owner, frequently resident, was Henry VIII. Here languished his queen, Katherine of Aragon, forlorn and discarded, while her marriage moved to its tragic end. In the 17th century the Bruce’s, close friends of the Stuart kings, came to Houghton House. Their loyalty led to their downfall and impoverishment. A relative, Richard Nicolls, born in Ampthill, named the city of New York in honour of his friend James, Duke of York (later James II). His memorial in Ampthill Church incorporates the cannonball that killed him. Ampthill Park landscaped by “Capability” Brown, was the delight of Lord Upper Ossory in the 18th century and his nephew Lord Holland in the 19th. To these two we owe much that gives Ampthill its unique charm today, not least the town clock, layout of the Market Square, the picturesque thatched cottages and the Alameda. 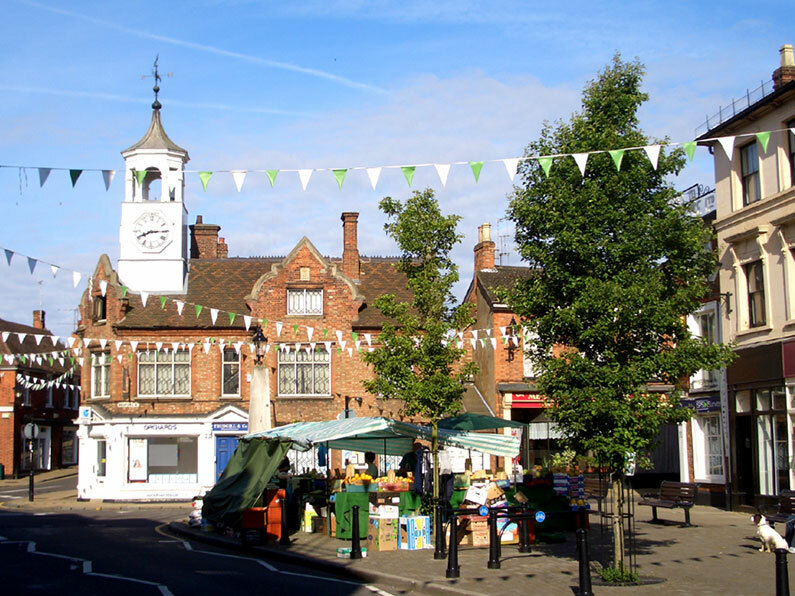 Ampthill again became the focus of both national and global attention in 1979 with the publishing and launch of Masquerade the treasure hunting book penned by author and artist Kit Williams. The prize a sumptuous golden hare crafted from 18ct gold embellished with bells and jewels. Williams chose Ampthill to hide his prize, buried at the foot of the cross-shaped monument to Catherine of Aragon in Ampthill Park. Today Ampthill continues to evolve and change meeting the needs of residents new and old. Independent shops and eateries thrive in this ever popular Historic Bedfordshire town.